Although a relative newcomer to the gin scene Whitley Neill has a long history of distilling. 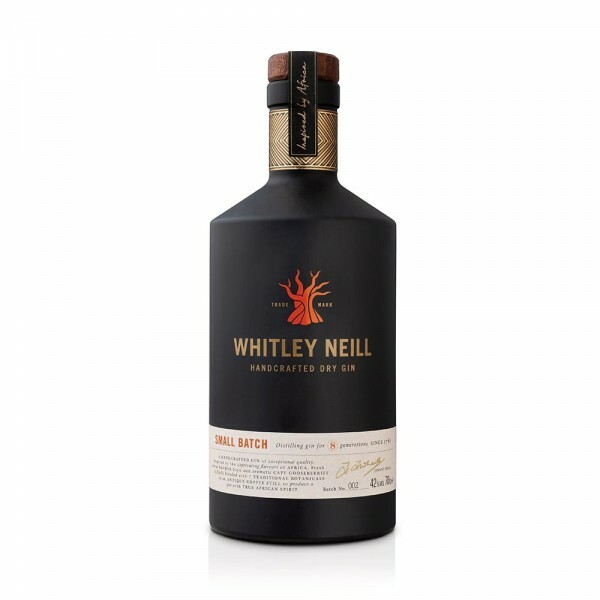 The creator, Johnny Neill, is the fourth generation of the Greenall Whitley distilling family and this certainly shows with Whitley Neill’s premium small batch gin. Whitley Neill’s award winning gin is made in small batches from 100% grain spirit ensuring the highest quality for every batch. The gin is infused with the flavours of nine botanicals and distilled in an antique copper pot still that has been used in the family for over 100 years. Johnny Neill’s wife is from South Africa and the African inspiration is clear throughout. From the Baobab tree logo, known as the ‘Tree of Life’ on the bottle to the wooden cork stopper, this gin is right at home in the Savanna. The African influence is clear in the flavour too, with the taste of the Baobab fruit and Cape gooseberries (both local to South Africa) shining through. The Baobab fruit gives an initial tang to the gin and the gooseberries leave a wonderful lasting taste. A great mix of flavours that allow this gin to work just as well neat as it does with a tonic or in a martini.